1. Adolpha HOPKINS was the daughter of Revd. John William HOPKINS (1734-1780) and Mary WORRALL (c. 1738-1826). 2. Revd. John William HOPKINS (also known as [unnamed person]), son of Lieutenant?? Samuel HOPKINS Genteleman of Hayes and Susanna PRIOR, was born in 1734. He was baptised on [Julian] 20 May 1734 in St. Andrew's, Holborn, City of London. He was a Clergyman. He was a Rector of Upminster, Essex. and St.Mary's Westminster. He married Mary WORRALL on 13 February 1766 in St. Lawrence Jewry, Milk Street, London. He died in 1780 in Upminster, Essex. He was buried in Nave of the Church, Upminster (South Side). 3. Mary WORRALL, daughter of Captain John WORRALL and unk UNK, was born circa 1738. She died in 1826. She married Joseph SHARPE. Harriet HOPKINS (1773-1820). Harriet was born on 15 October 1773 in Upminster. She was born circa 1774. 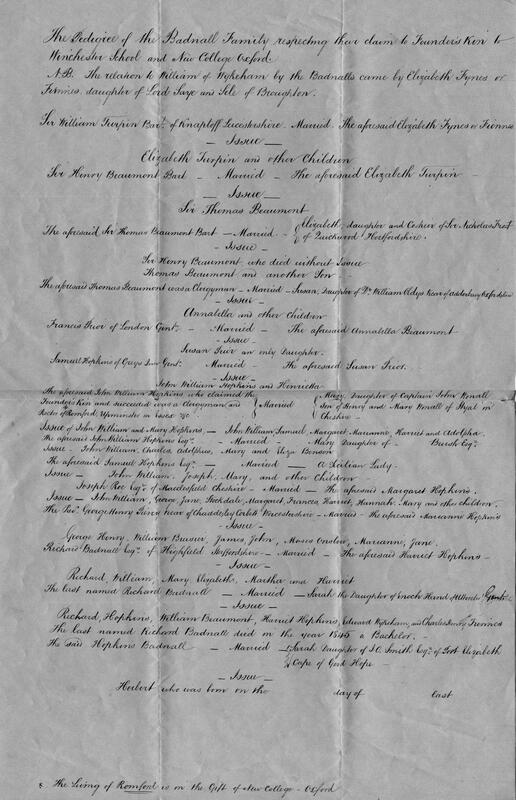 She married Richard Snr BADNALL on 20 June 1793 in Prestbury Parish Church, Cheshire. She died on 7 March 1820 in Leek, Staffs.. She was buried on 14 March 1820 in Family Vault, St. Edwards churchyard, Leek, Staffs..
4. Lieutenant?? Samuel HOPKINS Genteleman of Hayes, son of Right Rev Ezekiel HOPKINS and Alicia MOORE, was born circa [Julian] 1674. He married Susanna PRIOR circa [Julian] 8 January 1732. He died on [Julian] 5 July 1743. He made a will in 1754. He was. He was buried in Bucknell Church. He married Elizabeth UNK. He married Priscilla UNK. Firstly, it must be said that there is not conclusive evidence that Samuel Hopkins, son of Bishop Ezekiel Hopkins, and Samuel Hopkins, father of John William Hopkins, are one and the same person, despite the assertions of a genealogist working about a hundred years ago, and remarks made by the archivist at Gray's Inn (which Samuel, father of John William joined): "the fact that Samuel's information was "derived from an inscription" confirms that this Samuel and the Samuel who was the son of Ezekiel and matriculated at Wadham College are definitely the same person". If they are indeed the same person then Samuel would have joined Gray's Inn in his old age. However, Gray's Inn have confirmed that "it was not unknown for gentlemen to join an Inn as a sort of dining club (there was little apart from dining going on at the Inn at the time - formal legal education having completely decayed". Also, a 1674 birthdate for Samuel would make his own son John William born when Samuel was about 60 years old! Samuel (son of Ezekiel) was born in Ireland in 1674, when his father was Bishop of Derry and Raphoe. According to records he "matriculated Wadham College, Oxford 25/5/1688" aged 14. However, "matriculated" actually meant "entered",rather than graduated. His father matriculated at a similar age. However, it would appear that Samuel did not graduate. It would then appear that Samuel married a lady by the name of Elizabeth and had three children in Ireland (William, Ezecall and Charles). Their births are registered in Derry. At this time the records dry up, and we then have only the records to be found in Gray's Inn and also those at Bucknell Church, Hayes, Middlesex. According to the records in Hayes, Samuel Hopkins (gent of Hayes) had two wives during his time in Hayes, firstly Priscilla and then Susannah Prior, whose descent could be traced to the Fiennes family, and whose son John William, on account of this, claimed the rights of founder's kin at Winchester College and New College, Oxford. The present writer possesses the genealogy used to prove this. When he married Susanna Prior, she settled £1400 on him. Mr. Tomlinson Busby was one of two named best friends, who subsequently married his daughter Henrietta. At the time of the Will (12/5/1754), his son was certainly quite a bit short of 22 years old. By 4/7/1758 Samuel had died, and his wife had died before she could administer the will. That task was taken on by his daughter, who had between 1754 and 1758 married Tomlinson Busby. Hopkins had apparently made a previous will or wills. It is possible that Samuel was a clergyman, like his father and son, as some sources claim. However, the Irish Samuel Hopkins was apparently a lieutenant, the Hayes one a "gent"; these, alongside possibilities of him being a clergyman, or even a lawyer, make Samuel's life rather a mystery. A genealogy written about a hundred years ago by an anonymous author states categorically that Samuel of Hayes is one and the same as Samuel, son of Ezekiel, Bishop of Derry and Raphoe, but no evidence is given for this. More research needs to be done before anything conclusive can be asserted. Samuel was born in Ireland in 1674, when his father was Bishop of Derry and Raphoe. According to records he "matriculated Wadham College, Oxford 25/5/1688" aged 14. However, "matriculated" actually meant "entered",rather than graduated. His father matriculated at a similar age. However, it would appear that Samuel did not graduate. It would then appear that Samuel married a lady by the name of Elizabeth and had three children in Ireland (William, Ezecall and Charles). Their births are registered in Derry. At this time the records dry up, and we then have only the records to be found in Gray's Inn and also those at Bucknell Church, Hayes, Middlesex. According to the records in Hayes, Samuel Hopkins (gent of Hayes) had two wives during his time in Hayes, firstly Priscilla and then Susannah Prior, whose descent could be traced to the Fiennes family, and whose son John William, on account of this, claimed the rights of founder's kin at Winchester College and New College, Oxford. The present writer possesses the genealogy used to prove this. The same Samuel Hopkins, gent of Hayes, then crops up at Gray's Inn. Finally, his will still exists at the National Archives in Kew; its contents give some idea of Samuel's status and life, but offer no clue to his earlier life in Ireland or as the son of Ezekiel, if indeed he is the same Samuel. A summary of the main points from his will shows: he had property in the County of Radnor, eight houses in Bishopsgate Street, chambers in Gray's Inn, a house in Holbourn and earned money from renting properties. William HOPKINS (1696- ). William was born on 1 May 1696 in Derry, Ireland. Ezekiel (Ezecall) HOPKINS (1697-1699). Ezekiel was born on 14 April 1697 in Derry. He died in December 1699. Charles HOPKINS (1698-c. 1700). Charles was born on 3 August 1698 in Derry. He died circa 1 March 1700. He was buried on 7 March 1700. Henrietta HOPKINS ( -c. 1806). Henrietta married J Tomlinson BUSBY between [Julian] 1754 and [Julian] 1758. She died circa 1806. 6. Captain John WORRALL, son of Henry WORRALL snr. and Mary UNK, was born in 1682. He was a Captain in the Army. He died circa September 1760 in Pownall Hall, Wilmslow. He married unk UNK. 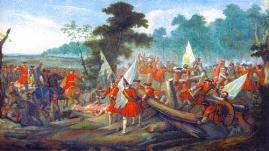 Captain John Worrall was a distinguished soldier who fought alongside the Duke of Marlborough at the Battle of Malplaquet in 1709. An oil painting exists of him with a note on the back which reads: " Captain in his Majesty's Regiment of Irish Horse Carbineers. He served under the Duke of Marlborough in all his wars, with distinguished courage and bravery, and at the glorious battle of Malplaquet, retook with his own hand the Standard from the French. 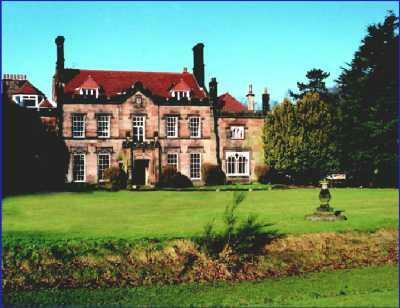 He died at Wilmslow [Pownall Hall] in Cheshire, his native parish Sept. 1760 in the 76 (78??) year of his age. Three daughters, Grace, Elizabeth and Mary (who married Rev. John William Hopkins) and a son, Henry". His daughter Harriet was apparently told by a certain "HM" that he ought to have been made a general for his service at Malplaquet. Worrall lived and died at Pownall Hall in Cheshire, which had passed into his family's hands in 1663, after the Restoration. Apparently, in the early eighteenth century, the house was split, with the Worralls living in one third and the Earl of Stamford and Warrington having the rest. Pownall remained with the Worrall family until 1817. The battle of Malplaquet was one of the bloodiest contests in modern history. Its "Butchers Bill" was by far the worst of any engagement fought during the War of Spanish Succession, and the shock wave that it engendered reverberated through all strata of what today we consider to have been a polite and genteel society. The dawning of the Age of Reason had caused a shift in the political outlook of most Western European countries, and governments now looked toward the economic virtues of trade rather than religious intolerance. Thus the death toll at Malplaquet was to traumatize the nations of Europe just as much as the horrific loss of life at the Somme and Verdun were to do some two hundred years later. The Peace of Westphalia in 1648 brought to an end the Thirty Years War, which had ravaged Europe not only with bitter-armed conflict, but also with pestilence, and the atrocities committed by all sides caused military thinkers to revaluate their whole concept of warfare. By 1700 the art of war had became the art of manoeuvre, and in particular the art of fortification and siege craft. Campaigns were normally fought during the spring and summer, armies going into winter quarters in October and emerging once again in April to continue their chess- like manoeuvring. 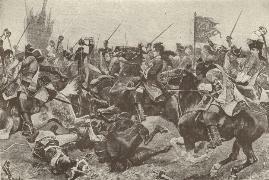 Armies were now far more disciplined in comparison to the marauding hordes of mercenaries employed during the Thirty Years War, and although foreign troops were still used in most armies of the period, they were subject to the same stringent measures of discipline as the indigenous soldiers of the country under which they served. Weapons and tactics had also changed. Between 1648 and 1703 the pike gradually became obsolete, and infantry were now all armed with the flintlock musket and the socket bayonet. With the adoption of one single weapon, battlefield tactics and formations were simplified, and the battalion became the basic unit of most armies. Each battalion was around 600-800 strong and organized into left and right wings, these again being subdivided into divisions and platoons, eighteen platoons normally made up a battalion. The French still continued to use the traditional method of firing by ranks, but the English and Dutch armies had begun to use platoon firing. The effectiveness of this type of "rolling" fire meant that each platoon gave three controlled volleys along the whole front of the battalion from right to left as follows, 'After the battalion formed up, the line was sub-divided into 18 equal platoons of 30-40 men, half the elite grenadier company taking post at each extremity of the line. The platoons were then told off into 'firings' of six platoons apiece, not contiguous groups, but scattered proportionately down the line. Sometimes the fire of the entire front rank would be also reserved as a fourth 'firing'. The colonel (or deputy) and his pair of drummers took post to the fore of the centre, the second- in-command and the colour party drew up to the rear, whilst the major and adjutant hovered on horseback on the extreme flanks, ordering the lines. A subaltern and a sergeant were told off to supervise each platoon, any spare officers taking up positions in the rear of the battalion line. After advancing towards the enemy, the battalion would halt at 60 yards range. On the order 'First Firing, take care!' the platoons of the first six platoons would prepare to discharge, giving fire together in a patterned sequence. Next, as these platoons opened order to reload, the platoons of the second firing would come to the present and fire in turn. The remainder, which included the grenadiers, then gave the third fire. By this time (approximately 30 seconds), the first sub-units would have finished reloading and would be ready to fire a second time, and the whole process would be repeated'. Drill, drill and more drill kept the battalions in alignment, and also enabled the troops to reload smoothly and rapidly. 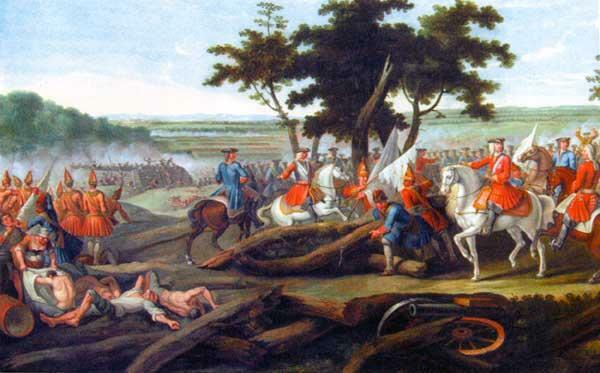 The problem that confronted both armies at Malplaquet was that once any obstruction, such as a wood or boggy meadow had to be negotiated, then harmony was lost and the whole line could falter. 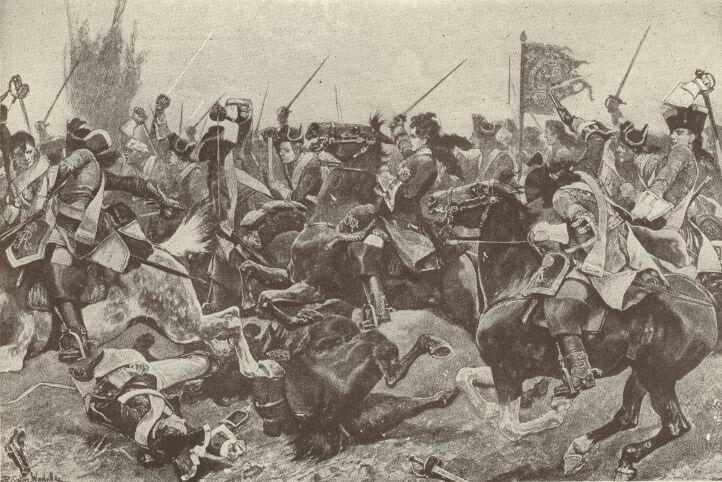 Cavalry were used as shock troops against the flanks or rear of an opposing army, and against disordered infantry. Where cavalry encountered cavalry the French sometimes still continued the practice of firing their carbines and then filing to the rear to reload while the next rank came forward to fire in their turn. By the time of Malplaquet however, the French were beginning to use their mounted arm for counterattacking, using the sword as much as the carbine. The Duke of Marlborough preferred to use the Allied cavalry for pure shock tactics, and only allowed three charges of powder and shot for each trooper, and these were only to be used for guarding the horses while they were grazing, the sword was the sole weapon to be used in action. The main tactical unit was the squadron, several of which were combined together into regiments. Each squadron numbered approximately 150 men and horses. Artillery was cumbersome and consisted of 12-24 pound cannon (the weight applying to the size of ball used in each), normally dragged to the battlefield or siege lines by civilian teamsters contracted for the duration of the campaign. 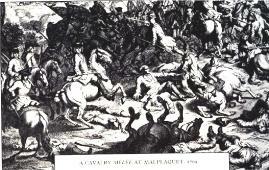 At Malplaquet both sides used their artillery to good effect grouping them into batteries and, as in the case of some of Marlborough's guns, moving them forward to give support to the infantry attacks. The English army had also begun to attach small 1-3 pound cannon to each of their battalions so as to give close support and added firepower during the advance; however few, if any of this latter type are mentioned at Malplaquet, and in the main the larger calibre guns were the only kind used. 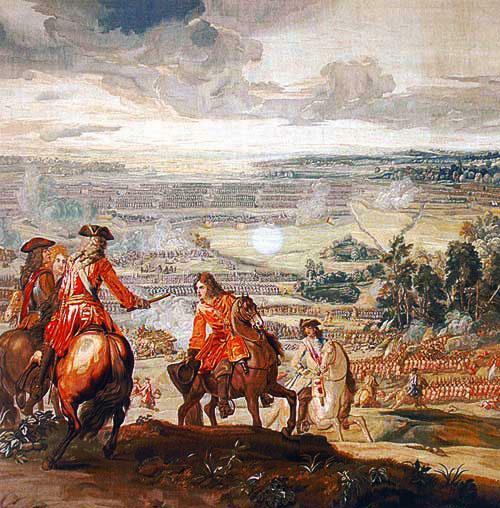 After their resounding defeats at the battles of Blenhiem (1704), Ramillies (1706) and Oudenarde (1708), the French began to appreciate Marlborough's tactics on the battlefield. Their commander at Malplaquet was Marshal Claude-Hector, Duc de Villars, an outstanding and competent leader for all his bluff and bluster, and the man on whom King Louise XIV placed his last hope of staving off an allied invasion of France. Villars field army numbered some 80,000 men, made up of French, Bavarian, Swiss and Irish contingents. These consisted of, 121 understrength battalions of infantry (300-400 men each), 260 squadrons of cavalry and 80 cannon. The reputations of John Churchill, First Duke of Marlborough, and Prince Eugene of Savoy have been passed down to us without diminishment over the centuries. Their partnership on and off the battlefield was one of complete understanding, trust and harmony, and they were arguably the greatest "team" in military history. At Malplaquet Prince Eugene and Marlborough effectively had joint control over the entire battlefield. The combined allied army was made up of Dutch, Prussian, Hanoverian, Irish, Swiss, Danes, Scots, Hessians, Saxons, and English troops numbering 110,000, and formed into 128 battalions, 253 squadrons, with 100 cannon. retook with his own hand the Standard from the French." his record. R. J. S.
In my observations on Wilmslow Church, I ought not to omit mentioning, that in the Church yard, at the east end, is an ancient gravestone, with the date 1596 ; and on the north side of the Church is another of the same date, inscribed with the name " Phe. Dale." Why should we not here notice the grave of a brave man, a native of Styal, in the parish of Wilmslow, who did honor to Cheshire, and to his regiment ? Near the south side of the chancel is a raised tomb, to the memory of Captain John Worrall, son of Henry and Mary Worrall, of Styal, " who departed this " life September S8th, 1760, aged 77, he served 50 years in his Majesties " Regiment of Carbineers, and carried and brought off with honor, the - standard, at the memorable battle of Malplaquet. His gallant behaviour " as a soldier, and his private virtue as a member of society, gained him " the esteem of every brave and honest man."